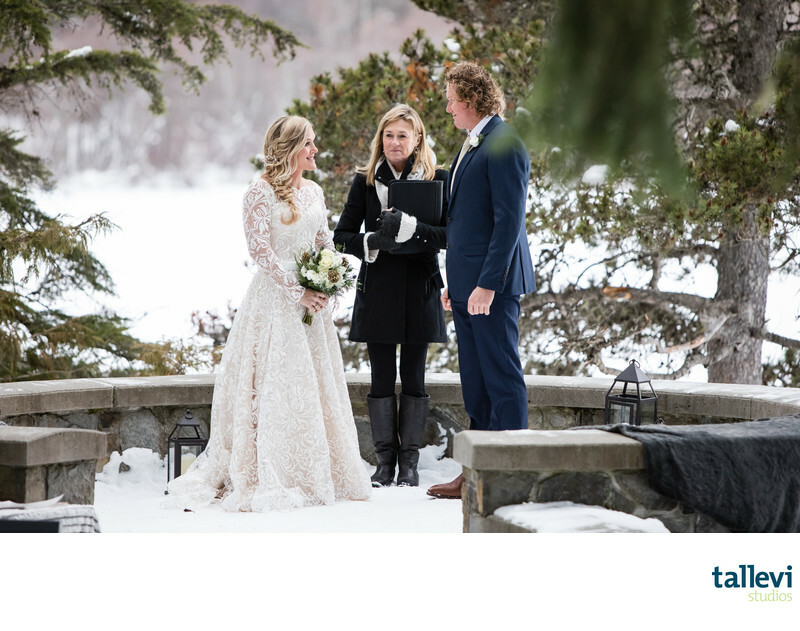 This winter elopement was about as perfect as they come. The bride scoured Etsy for winter-appropriate accessories - not so easy to find in Australia where their winters are much milder than ours. Her long sleeve dress was stunning and her hair and make-up was on point. Whistler is a very popular location for destination weddings. Couples travel from all around the world to get married in this winter wonderland. There are a number of local parks you can rent for weddings. 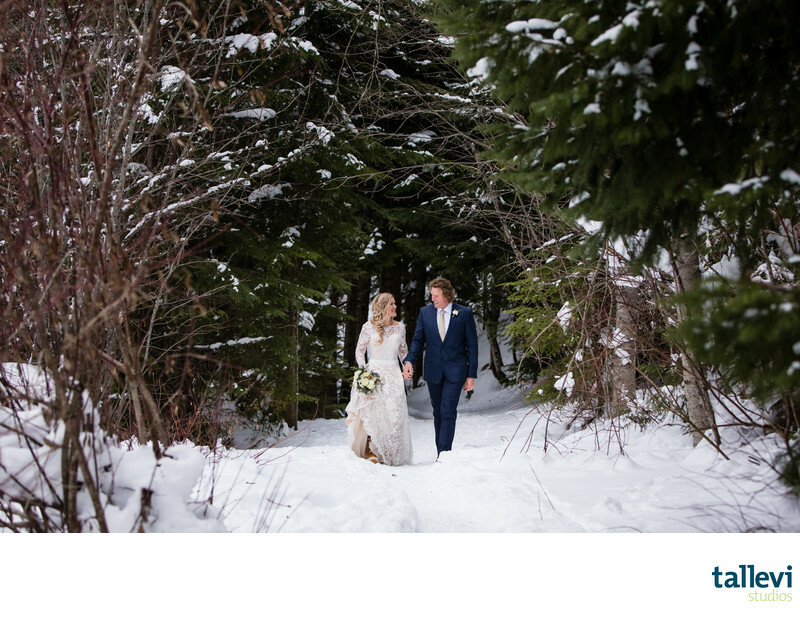 The Stone Circle is ideal for Whistler elopements or very intimate weddings (like less than 6 guests!) It's located just off the main biking/walking trail which makes it more private than most public parks. And there's a little cabin down the gravel path in case the weather decides not to cooperate. As a Whistler wedding photographer, this is one of my favourite locations. Within a few minutes walk there are lots of great photo opportunities, including forested paths, a bridge, a grassy park and two docks at the lake. While weekends in the summer can get a little busy in the neighbouring park, I have lots of other amazing spots I can take you to if you're looking for a little more privacy. And the forest surrounding the Stone Circle is very "Whistler" and oh-so-pretty to photograph. I've photographed many weddings at the Stone Circle in Whistler and it's absolutely magical! If you'd like to know more about getting married in this pretty spot, I'd love to hear from you. And to see more photos from recent elopements, click here. Keywords: elopement (120), Kerry Waring (303), Sea to Sky Celebrations (582), Senka (327), wedding (1602), Whistler (942), winter (261).